Allow me to introduce myself... 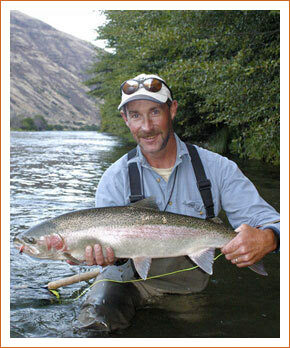 I'm Brian Silvey, owner of a year-round Oregon fly fishing guide service operated from my home in Maupin, Oregon. Having grown up on the Deschutes and Sandy Rivers, I know these waters well and can guide you on a trip you won't soon forget. I love my job and when I have "down time" from guiding, you can find me enjoying the river, fishing... or rock hunting... with my son and daughter, or simply enjoying the surrounding beauty of the area.